MijoShop: The leading e-Commerce application for Joomla! MijoShop is a powerful shopping cart component that is designed feature rich and user friendly. It is a turn-key ready "out of the box" shopping cart and e-Commerce component for Joomla. 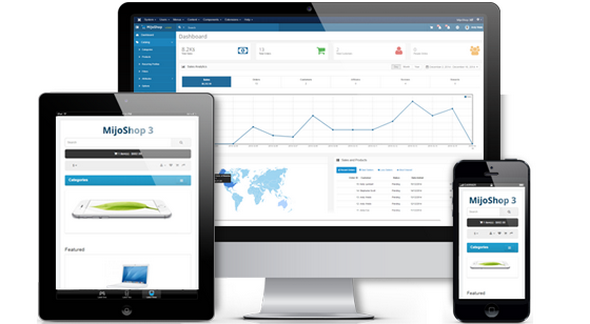 It has an intuitive admin interface that allows you to have complete control over your store and detailed sales reports.